In this one-day gathering, we will explore the role of spirituality in community, activism, and ecology. Together we will delve into the inquiry of how our social movements can unite spirituality with action for deeper, more essential change. What is the role of spirituality in activism, ecology and community? What are the challenges of living spiritual activism at this time? What can it offer movements for change? How are the younger generations leading the way in this urgent work of transformation and healing? In the face of a darkening world future, Sacred Rebellion speaks to the simple recognition that unless we unite practical action with spiritual practice and values, radical change is impossible. This dynamic one-day gathering brings together change-makers at the cutting edge of this field. Whatever your age or background, you are invited to join us in exploring these critical questions through a mixture of discussions, workshops, reflective practice and artistic performance. What does it mean to live our spirituality in an age of crisis? How do we evolve faith or spiritual communities that reflect the new? What is the new emerging impulse of spiritual life in the younger generation? Why is it important to include a spiritual dimension to our environmental work? How can we connect our spiritual practice or faith teachings with the earth? What kind of regeneration, renewal and rewilding is possible? In this age of breakdown, collapse and re-birth what gives us the courage to act in peaceful disobedience of the systems which are destroying our ecology and humanity. When does Rebellion become a ‘holy’ act? Through the lens of Extinction Rebellion and its key relatives, this workshop will explore what is ours to do and BE while we witness the extraordinary shifts, disruption, grief, anxiety, joy and love around us. Are we about to enter an empathic biosphere consciousness where we re-learn how we belong to each other and the earth? Or does something else await us? Can we remain curious and in-touch with our imagination? Can we feel our core-wounding and our deepest longings? What about LOVE? We will come together to ask what feels most important to ask. 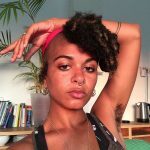 Join Camille Barton of the Collective Liberation Project forResilience and renewal, a workshop exploring how to use meditation and art to support transformative anti-oppression work, such as racial justice. In the west, spirituality and activism are often viewed as separate conversations. However, it is incredibly useful and nourishing to sustain activist work through meditation and art practices with a decolonial approach. Camille will reference their life story, having grown up in a meditation cult, to explore the phenomenon of spiritual bypassing, where spirituality is used as an excuse to avoid talking about difficult issues. Participants will leave with strategies to acknowledge issues of power and privilege and gain confidence to begin addressing this in daily life with self awareness, compassion and creativity. 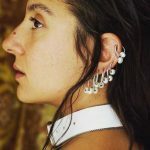 In this workshop, Toni will introduce elements of the ‘pause trainings for rebels’, cultivating practices of curiosity, receptivity, reverence and renewal. Toni is a curator with The Emergence Network and leads on the upcoming course Vulture: Courting the Other/wise in a Time of Breakdown. Current collaborations include events exploring practices and possibilities of ‘Deep Adaptation’ and de-colonisation, alongside her ongoing one-to-one mentoring work and personal inquiry in to how to belong in a fractured world. She is a course mentor, trainer and teacher for Call of The Wild with Wildwise /Schumacher College including grief tending, deep ecology and embodiment. Her work engages with different ways of knowing, kinship with that which we usually exclude and a love for beauty in the intimate. Following her instinct for the margins and the magical, Toni initiated the pause as part of Extinction Rebellion: an invitation to bear witness and to lean in to the liminal in the midst of action. This is part of an ongoing inquiry in to ‘A Politics of Wonder’ and how to invite mystery and curiosity in to the everyday in times of trouble. Toni has an Action Research based MSc in Responsibility and Business Practice and has trained in a diverse range of awakening practices, grief tending, creativity and facilitation modalities, alongside many years of dancing, foraging and ‘living life as inquiry’. Looking at this quote by poet Audrey Lorde we’ll be focussing on the role poetry has in creating a safe space for people who engage in activism and the role of creativity as self-care. Sukina Pilgrim is a Spoken-Word, Playwright, Workshop Facilitator and Event Organiser and co-founder of Muslim female Hip Hop duo, Poetic Pilgrimage. She has facilitated creative writing workshops across the world empowering communities to use the written word as a tool for dialogue and as a means for accessing their authentic voice. She has launched a workshop series called The Art of Speaking from the Heart that she has delivered around the world. 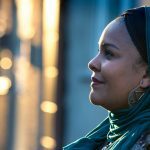 Sukina has played an intrinsic role within the British Muslim creative communities as a performer and events organiser and has created platforms for many national and international Muslim artists to express themselves and launch their careers. Her work has been featured on the BBC News, World Service and Asian Network, ITV, Channel 4 and Al Jazeera and has been written about in the Huffington Post, Daily Mail, The Voice and many other international media outlets. In March 2015 Al Jazeera screened a documentary about her group called Hip Hop Hijabis. Sukina made her theatre debut in 2016 in a production called Malcolm X at the KVS (Royal Flemish Theatre) in Brussels which was critically acclaimed and is currently writing a play for the KVS Theatre called Afropean / Human Being. In 2017 she delivered a Tedx Talk on the healing potential of poetry. Sukina holds a she holds a BA (Hons) Degree in English Literature and Caribbean Studies and is currently pursuing an MA in Creative Industries and Cultural Management. Inner work is essential to effective activism. The process of integrating our own shadow can free us from negative emotion and judgement. This deepens our sense of wholeness, and liberates more life force with which to empower our activism. Activism that doesn’t create a split between us and them is also more likely to create lasting change. For all of these reasons, it’s important that as activists we have a dynamic and living relationship with our inner world and a disciplined approach to our personal transformation. This workshop will offer simple and also fun exercises to reclaim aspects of Our Shadow that will be vital to our change-making work. Skeena Finebaum-Rathor is a mother of three girls, and also spends time as a movement (Pilates, Yoga, Feldenkrais, Garuda and Energy Medicine) and heart-math meditation teacher. A Teacher Trainer and Trauma Release therapist, a Raviv brain development teacher, Montessori Teacher, Metamorphic practitioner and ‘Listening and Thinking’ Facilitator. 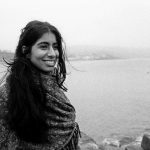 Skeena is also a political change maker and leader, excited about discovering; the evolutionary aspects of politics, feminine leadership and systems change, she is a Labour Party District Councillor and a member of the Labour Party National Policy Board. 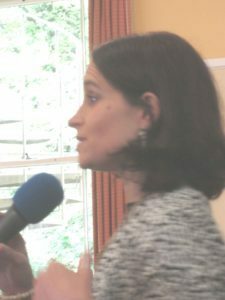 Founder of The Politics Kitchen and Co-founder of The Compassionate Stroud Project. In the odd spare moment Skeena sits, sings and dances as; A trustee of; St Luke’s Health and Wellness practice and The Sacred Music Festival. Her spiritual practice resounds in Sufism but she heartily borrows from many other traditions and contemplative practices. Since September 2018 Skeena has been committed to growing the ‘love-force’ of the Global Movement Extinction Rebellion with a particular passion for developing; deep collaboration, the mothering instinct, heart intelligence and soul presence within and around the work of Ex R.
Camille Barton is a movement artist who brings her passion for social change to life through a variety of art mediums, including dance, film and clowning. Her art practice fuses improvisation, ritual and Afrofuturism to weave new realities inspired by the creativity of the African Diaspora. Most recently Camille directed and danced in ‘Space is the Place’, a three-minute Afrofuturist sci-fi film produced by Channel 4 Random Acts. The film was selected to play at Sheffield Doc Fest 2018. In 2016, Camille co-produced The Sisterhood, Glastonbury festival’s first intersectional, women only venue. In summer 2018, Camille co-produced and curated the SanQtuary- an intersectional, Queer clubhouse that launched at Shambala festival. Camille is the director of the Collective Liberation Project (CLP). CLP designs educational experiences to help people understand oppression, and how it relates to their lived experience, so they can stop behaving in ways that reproduce oppression, such as racism and sexism. This work is inspired by Camille’s ongoing research into somatics and social justice: exploring how trauma from oppression is rooted in the body and how it can be healed with movement and mindfulness. CLP has worked with clients including Quakers in Britain, Release, Institute of Contemporary Arts, Sisters Uncut, The University of Sussex, SOAS, The Arts Marketing Association, St Ethelburga’s Centre for Reconciliation and peace and Sunday Assembly London. Sukina Pilgrim is a Spoken-Word, Playwright, Workshop Facilitator and Event Organiser and co-founder of Muslim female Hip Hop duo, Poetic Pilgrimage. She has facilitated creative writing workshops across the world empowering communities to use the written word as a tool for dialogue and as a means for accessing their authentic voice. She has launched a workshop series called The Art of Speaking from the Heart that she has delivered around the world. Sukina has played an intrinsic role within the British Muslim creative communities as a performer and events organiser and has created platforms for many national and international Muslim artists to express themselves and launch their careers. Her work has been featured on the BBC News, World Service and Asian Network, ITV, Channel 4 and Al Jazeera and has been written about in the Huffington Post, Daily Mail, The Voice and many other international media outlets. In March 2015 Al Jazeera screened a documentary about her group called Hip Hop Hijabis. Sukina made her theatre debut in 2016 in a production called Malcolm X at the KVS (Royal Flemish Theatre) in Brussels which was critically acclaimed and is currently writing a play for the KVS Theatre called Afropean / Human Being. In 2017 she delivered a Tedx Talk on healing potential poetry has. Sukina holds a she holds a BA (Hons) Degree in English Literature and Caribbean Studies and is currently pursuing an MA in Creative Industries and Cultural Management. Sam Weatherald is a community builder, facilitator, musician and mental health activist, and alumni of the Spiritual Ecology fellowship 2018. He is Community Organiser at Sunday Assembly East End, which he helped found in 2016, a secular congregational community where he organises assemblies, hosts, and occasionally drums in the house band! 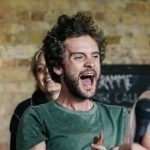 He is also founder of grassroots participatory arts and events collective Antenna, which organises bespoke events supporting and celebrating grassroots London social change communities. His most recent major project was a ‘A Mindful Mess 2018’ a three-day community arts festival in Poplar exploring the mind, mental health and ‘neurodiversity’, funded by Tower Hamlets council, for which he also published an anthology of creative contributions from local people on the theme. 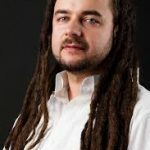 Having experienced severe chronic depression for most of his twenties, he is passionately committed to exploring the deep cultural and spiritual roots of disconnection and alienation which have led to the growing mental health crisis. 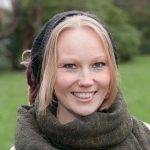 Beth Thomas is an Associate Fellow of St Ethelburga’s Centre, and an alumnus of their Spiritual Ecology Leadership Programme. She is founder of Roots into Reverence, an initiative that leads pilgrimages in Britain whose destinations are sacred celebrations inside churches. She closely assisted in the initiation and running of Wild Church, which is a roaming pilgrim’s church whose altars are atop of tors, beside rivers or under the canopy of trees. 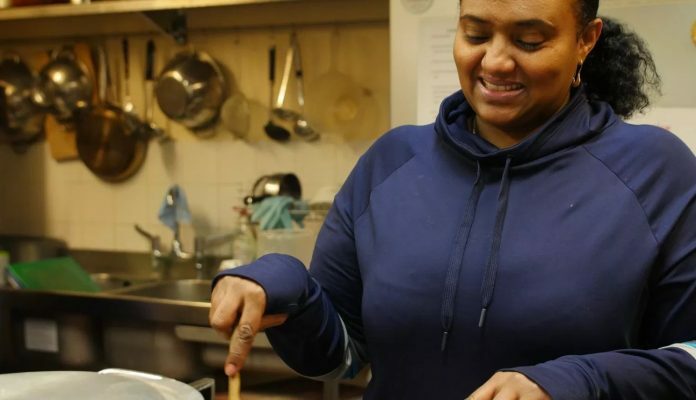 She has recently moved from Devon to Edinburgh where she is working as an assistant to adults with learning disabilities at L’Arche, and is deeply grateful for such a joyful and loving place of work. Beth’s big question is how the spiritual path – both personally trodden and collectively shared – can lead into a renewed relationship with the Earth. Her spiritual path was gestated within a Christian context, birthed outside of formalised religion and is now maturing within a Christian context once more. She would describe her spirituality as Eco-Buddhist-Christian, and finds great depths in sharing contemplative and devotional space with those within and across diverse spiritual traditions. She is passionate about restoring the feminine and longs for the day that it is normal to pray to our Heavenly Father and our Earthly Mother. 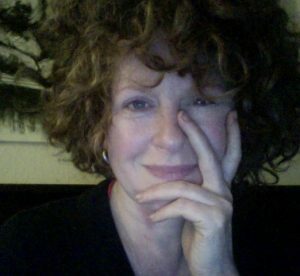 Toni Spencer is a curator with The Emergence Network and leads on the upcoming course Vulture: Courting the Other/wise in a Time of Breakdown. Current collaborations include events exploring practices and possibilities of ‘Deep Adaptation’ and de-colonisation, alongside her ongoing one-to-one mentoring work and personal inquiry into how to belong in a fractured world. She is a course mentor, trainer and teacher for Call of The Wild with Wildwise /Schumacher College including grief tending, deep ecology and embodiment. Her work engages with different ways of knowing, kinship with that which we usually exclude and a love for beauty in the intimate. Following her instinct for the margins and the magical, Toni initiated the pause as part of Extinction Rebellion: an invitation to bear witness and to lean into the liminal in the midst of action. This is part of an ongoing inquiry in to ‘A Politics of Wonder’ and how to invite mystery and curiosity into the everyday in times of trouble. Toni has an Action Research based MSc in Responsibility and Business Practice and has trained in a diverse range of awakening practices, grief tending, creativity and facilitation modalities, alongside many years of dancing, foraging and ‘living life as inquiry’. Sara Zaltash spent her twenties dazzling audiences as a musician, performance artist and host. She cut her teeth at the more radical end of showbiz, hustling the UK’s DIY arts, culture and festival circuit and travelling the world to visit an ever-growing network of activist hubs, peace-making organisations and vagabond aristo parties, while quietly accruing knowledge in subjects as diverse as Law, Sustainability, Persian Literature and Qur’anic Arabic . Sara’s life was transformed when she began offering her own adaptation of the Islamic Call to Prayer in unusual public contexts all over the world. Now, self-styled as Beloved Sara Zaltash, an interfaith minister for a world in crisis, she is dedicated to using her gifts as an artist, singer, space-holder and rabble-rouser to catalyse the Great Good Change. Passionate about nature, community, story, song and a righteously good time, you can think of Sara as a kind of Vera Lynn of the rebellion, Martin Shaw with less facial hair, or Lily Savage with muddier boots. 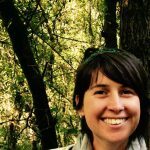 Kara Moses is a facilitator of rewilding and alumni of the Spiritual Ecology leadership programme. She offers experiential, educational courses in nature connection, spiritual ecology and skills for social change, combining all three wherever possible.Kara teaches and facilitates on short courses and Masters programs at the Centre for Alternative Technology (CAT), Schumacher College and St Ethelburga’s. Her passion for the natural world also finds expression in political activism: fighting the fossil fuel industry with Reclaim the Power and Plane Stupid. As a freelance writer and editor, Kara contributes to Resurgence and Ecologist magazine and is Environment Editor for Red Pepper magazine. She is a trustee of the Wales Wild Land Foundation, which focuses on rewilding land in west Wales, where Kara is based. Her spiritual practice takes inspiration from Buddhism, nature-based indigenous shamanism and Sufism. Samson Hart is a researcher, writer, activist and budding food grower. 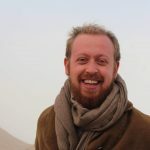 He has an MA in Economics for Transition from Schumacher College, where his research focussed on land rights as central to the revival of rural life and ecological agriculture. Samson also holds a deep spiritual connection to earth throughout his work, and a spirituality that is influenced by Buddhism and nature connection, but grounded in Jewish practice. In the past year, his search for a connection between social justice, spirituality and growing food have led him to Adamah, a Jewish farm in Connecticut, and the Arava Institute in Israel-Palestine. He dreams of one day building an inter-faith, land-based, spiritual community in the UK. 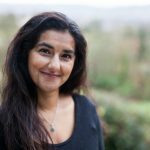 Amrita Bhohi leads the Spiritual Ecology Programme at St Ethelburga’s Centre for Peace and Reconciliation in London. The programme seeks to embed a deeper connection to the sacred into the urgent environmental and social change efforts to protect, heal and regenerate our relationship to our living earth. She teaches and facilitates public workshops and events sharing the spiritual ecology curriculum. She also manages the Spiritual Ecology Leadership Programme, which supports the next generation of emerging leaders to embed spiritual values into their practical work and leadership. She holds an MA in Ecological Economics from Schumacher College. In 2013 she organised TEDxWhitechapel, named as one of the most popular and radical TEDx events in London. She is a Fellow of St Paul’s Institute and a friend of the College for Real Farming and Food Culture. Adam Bucko: Sadly Adam will not be able to join us at the conference but will be sending a video message. This conference is informed and inspired by the past three years of St Ethelburga’s Centre programme work with emerging young leaders applying spiritual values into practical action in response to the refugee and ecological crises. This event is also linked to a new book,‘Generation Y, Spirituality and Social Change’, edited by Justine Huxley which is a collection of essays and interviews with inspiring young change-makers from different cultures and backgrounds (many of whom will be present on the day). The book explores the following key themes: natural leadership, new spaces, sacred activism, protecting the earth and challenging orthodoxy. Discounted copies will be available to purchase on the day, or you can pre-order here.